Hi, Good Morning. Thank you, friends and viewers. Today I will post how to make Eggless Date Cake Recipe. This cake recipe, I have learned it from my aunt Usha Angara. Whenever we have a family gathering, Usha atta used to bring this cake as part of her share of goodies to kids. We all love the gesture and of course the cake too. Almost all the family members irrespective of elders and youngsters used to savour it. 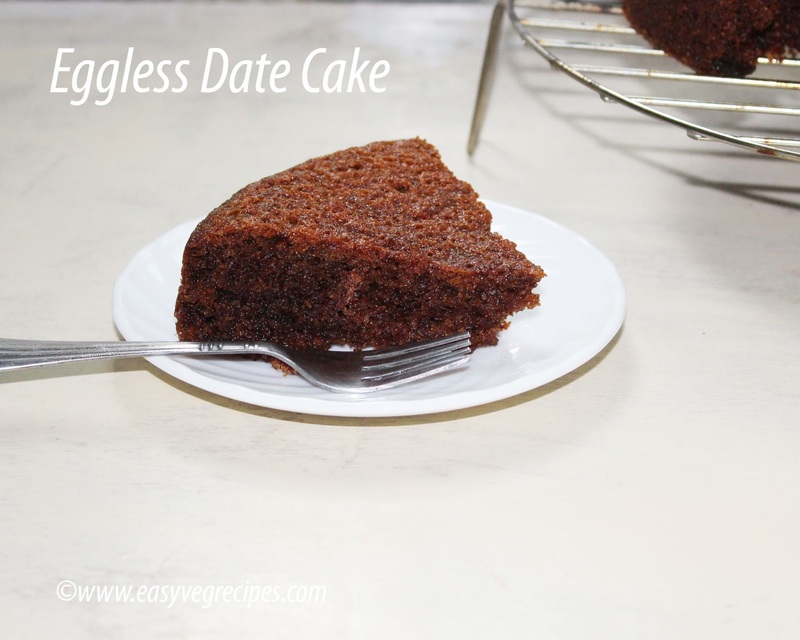 When we bought our LG MC-7880PSR Convection model oven, the first recipe I tried on it is this cake. I used to make it as regularly as possible. The main idea behind making it is, it contains no egg, so MIL can also enjoy it. It is very easy to make and takes very less time to bake. I baked it for 25 mins at 180 degrees celsius. All put together it took 45 mins to make it ready. As I already told, all ovens are not the same. So we have to hang around it get the proper knowledge of it. First time when I bake it in my oven I baked it for 45 mins, as my aunt told me to do so. But it has become crumbly and tasteless. I tried in different ways like reducing the temperature and increasing the time and vice versa. Finally, it came perfectly only when I set the time for 25 mins and the temperature at 180 degrees celsius. I normally leave it in the oven itself for two to three minutes, so that the little moisture inside the dish will also set. Sieve all purpose flour and baking soda. Keep it aside. Preheat the oven for 350 degrees Farenheit or 180 degrees Celsius. Grease and dust a round or square cake baking tin. Chop the dates or soak them in warm milk for half an hour. This will make soft and mixes well with the batter. In a mixing bowl mix sugar and milk. Let the sugar melts. Once sugar melts, add oil to it and mix well. Now, slowly add the flour and gently gold it. So that there won't be any lumps formed. Bake this at 180 degrees celsius for 25 mins. Or till the toothpick inserted into it comes out clean. Allow this to cool on the wire rack. 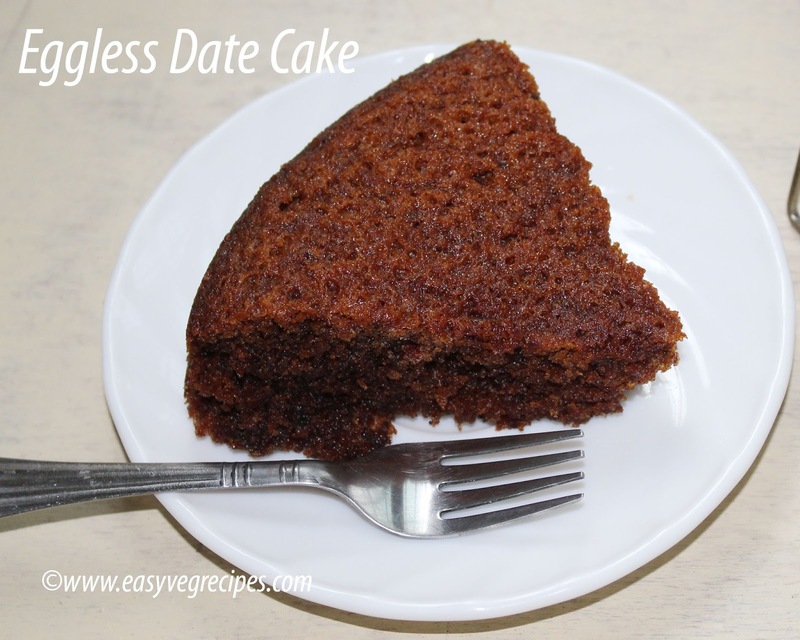 Serve eggless date cake any time with hot cup of tea.